I have a confession. I’ve eaten ice cream three days in a row now. I eat a pretty balanced diet most of the time, but I go through phases where I get carried away with the sweets. 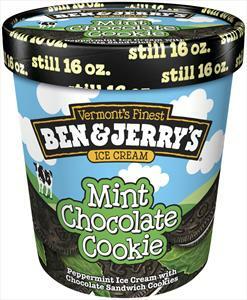 That Mint Chocolate Cookie has been beckoning me from the freezer, and it’s been pretty hard to resist. I usually recognize when I’m in a sugar phase, and I’m able to go back to my usual, balanced diet the next day. My sugar phases are like prolonged cravings. I’ve allowed myself to give in to these cravings to avoid feeling deprived, but I’m starting to see that it’s not really the sugar that my body needs. The sugar cravings are my body asking for something else–maybe even something non-food. I kind of feel silly for not realizing this before…ah well–life is a learning experience. Cravings are not a sign of weakness. They are a sign of imbalance. This realization makes me even more exited for the Kick Your Cravings and Lose the Guilt teleseminar next week. This topic is always relevant, and now it’s even more personal and important to me. How to deconstruct your cravings to give your body the nourishment that it really needs. Effective tactics for eliminating the guilt associated with emotional eating. Space is limited so make sure to sign up soon. Even if you can’t make this call, consider signing up–I will be recording the call to send to anyone who can’t make it on the 23rd. So even if you can’t be there in the flesh, you’ll be able to take advantage of this great opportunity to reduce your cravings and learn how to identify the root cause of these cravings.